You've probably heard of a dental implant, but maybe you're not exactly sure what it is composed of. 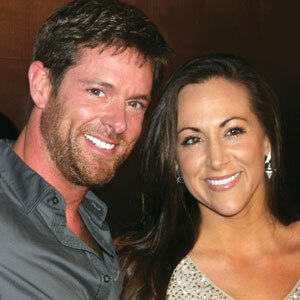 It’s a modern dental device that has helped countless people who have missing teeth renew and restore their smiles. Learn the three parts that make up a dental implant so that you'll know what to expect in advance of your procedure at Central Jersey Dental Arts in Piscataway, NJ. The part of the dental implant unit that sits below the gumline is made of titanium and resembles a tiny screw. Titanium is a material that is biocompatible and integrates well with bone tissue. Through a process called osseointegration, the tissue in your jaw combines with the titanium implant and holds it firmly in place. It resembles the shape of the root of a natural tooth that is located at the front of your mouth but can also be used to replace back molars. Once the implant heals below the gumline, there needs to be a post that can hold the crown in place. Your Piscataway dentist will install a tiny device on top of the titanium implant called an abutment. It forms the middle part of the restoration and won’t be visible to others. The abutment looks like a tooth that has been prepared to receive a crown and is made of metal or porcelain material. 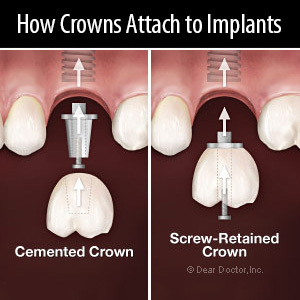 The crown is the final part of a dental implant. It can be made of a metal material or ceramic resin, but the best-looking crown is made of high-quality porcelain. Your dentist will design the crown based on the shape of the abutment and the open space between the adjacent teeth. Once ready, it is either screwed or bonded to the abutment to complete the restoration. The crown will likely last up to 15 years before it has to be replaced. All of the parts of a dental implant eventually come together to make your smile stronger, healthier and more attractive. Call (732) 981-1040 today for a consultation with Dr. Nainesh Desai at his Piscataway, NJ, dentist office.